"The Hanaka Pearl is the best choice- telaxing, private breez..."
Have a question for Hiva Oa Hanakee Pearl Lodge? "Fantastic holiday with nice staff!" "The local staff & guide were excellent." 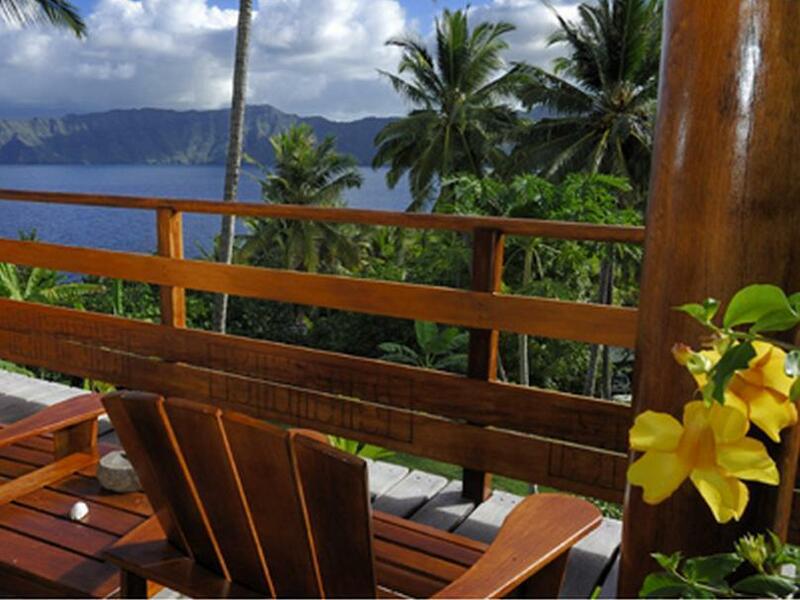 Ideal for fun and relaxation, Hiva Oa Hanakee Pearl Lodge is located in the Hiva Oa area of Marquesas Islands. From here, guests can enjoy easy access to all that the lively city has to offer. No less exceptional is the hotel's easy access to the city's myriad attractions and landmarks, such as Atuona Airport. Offering hotel guests superior services and a broad range of amenities, Hiva Oa Hanakee Pearl Lodge is committed to ensuring that your stay is as comfortable as possible. The hotel provides facilities for disabled guests, luggage storage, Wi-Fi in public areas, car park, airport transfer to ensure our guests the greatest comfort. The hotel features 14 beautifully appointed guest rooms, many of which include internet access – wireless, non smoking rooms, air conditioning, wake-up service, mini bar. The hotel offers many unique recreational opportunities such as outdoor pool, diving, garden. Superb facilities and an excellent location make the Hiva Oa Hanakee Pearl Lodge the perfect base from which to enjoy your stay in Marquesas Islands. "So perfect for relaxing, recharging and exploring."